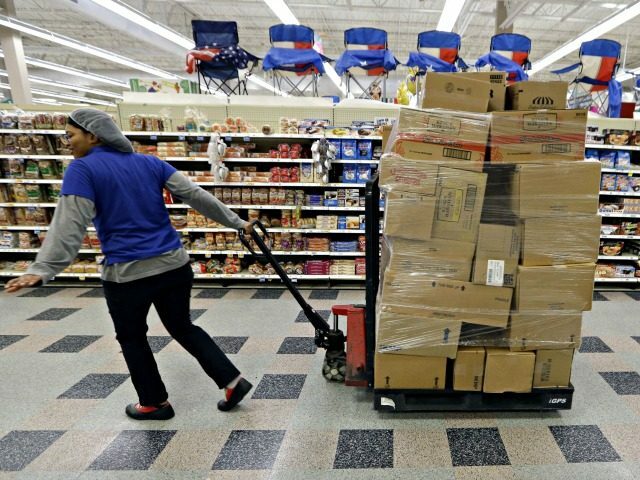 One of the nation’s largest grocery chains has announced it is adding up to 10,000 new employees as it plans expansion in the new era of Trump. “Kroger’s growth trajectory continues to create opportunities for our people to advance their careers – and to do that in a fun, team environment with great benefits,” Kroger group vice president of human resources and labor relations Tim Massa said in a press release. The grocery giant also reported adding over 12,000 jobs in 2016, a number that doesn’t include temporary jobs such as the construction jobs needed to build its new outlets. The number also excludes new employees brought on by several recent mergers. The Cincinnati-based supermarket chain currently employs 430,000 workers across the country, according to the Cincinnati Enquirer. Kroger joins several other large American corporations by announcing plans to add new jobs as the Trump administration begins to deploy its America First agenda. Like Kroger, Walmart also announced it intends to add 10,000 jobs to its workforce. General Motors, Amazon.com, Bayer AG, and a long list of others have also announced plans to add new jobs and increase investments in the U.S. Follow Warner Todd Huston on Twitter @warnerthuston or email the author at igcolonel@hotmail.com.